I hope you all have had a wonderful weekend! Mine was too short, as always and I am already looking forward to next weekend. Today I take you to this beautiful house on the island of Ponza Italy. 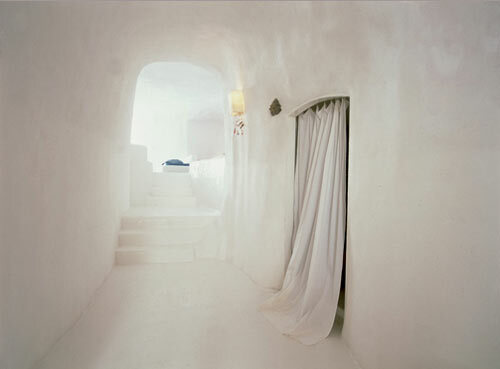 I love the white plastered walls of this cave house. Although the ceilings are low, the house is still light and airy. I just might have to move to the Mediterranean if you keep posting any more pictures of gorgeous homes from Italy or Greece…I love how simple this home is. 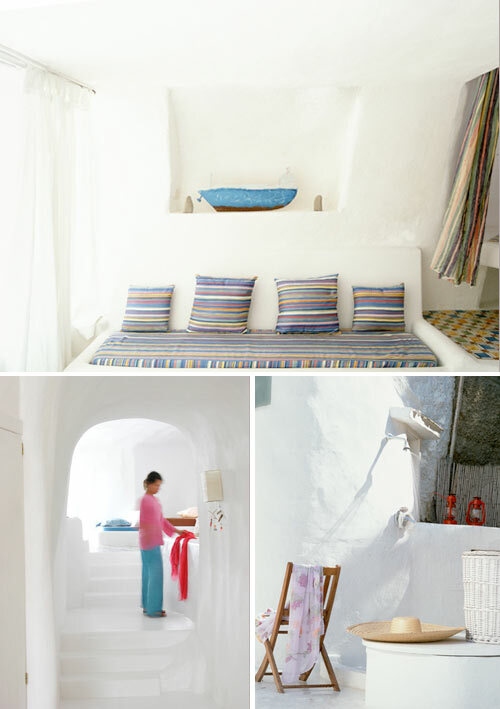 And there’s something so beautiful about the colors against the white walls and floors. I will officially be daydreaming the rest of the day. Love, love, love this post, can’t decide which picture I like best, they are all simply DIVINE!!! Glad to hear that you enjoy these images as much as I do! Ohh, I love how the plants contrast against the white wall. Can you please tell me where exactly is this house? of give me a phone number or a website or something to contact the owner. I really would like to go there for a vacation! thanks in advance! Is it possible to get more information en foto’s pleas? Hi, Can you provide more details about how to go about renting the houses in Ponza, they look beautiful. hey danielle, jack hollingsworth here. i’m a professional photographer from the USA. i’ll be in Ponza in a couple weeks-shooting for Star clippers cruiseline. any chance you can get me the contact info for this awesome white cottage. i would like to contact the owner to see if i can photograph? what i need is a name and email address. we are going to Ponza this summer and I discovered your great site – can you let me know the adress / contact for this house on Ponza???? 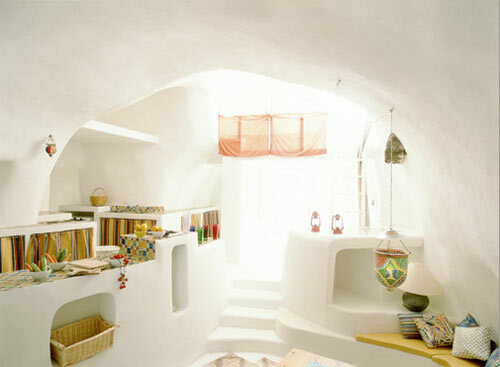 Hi, Is it possible to rent this cave house as we are going to Ponza in June? 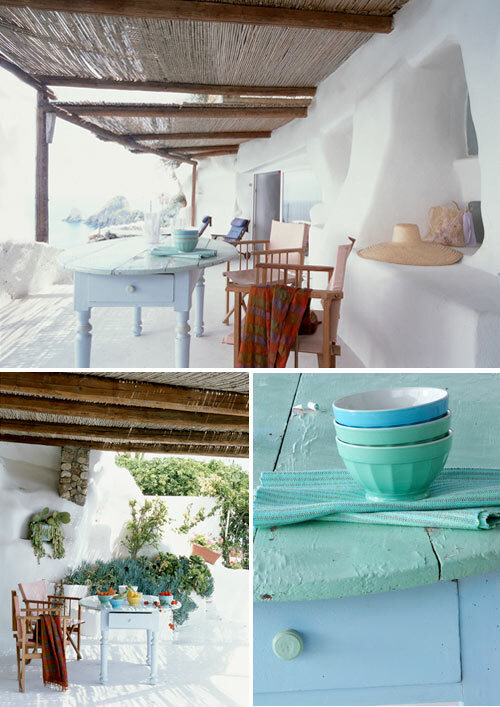 I am frech and I would to know if it is possible to rent these ponza house? Is it possible to rent Cave House or bungalo near the beach in Ponza? Could you provide website to contact owner.